In 1890, when the Sun published Coue’s professed exposure of HPB, another assault on her character was being silently prepared by a man named William Emmette Coleman, who was soon to spread far and wide the accusation that in all her writings Blavatsky plagiarized on a grand scale. It is impossible to calculate how many people have refused to read Blavatsky’s writings as a result of this charge. Incidentally, it seems rather amazing that we now have another “Co” to add to Coulomb, Coues, and Collins! Coleman was involved in both the Coulomb and the Coues-Collins cases. It was he who journeyed from the United States to London to obtain from the Scottish missionary Patterson the purportedly original HPB-Coulomb letters that Coues had hoped to use in defending himself in HPB’s libel suit; it was also he who supplied Coues with the information circulated in a Sun “interview” that HPB’s supposed illegitimate child was fathered by Wittgenstein. Coleman’s letter on this subject, dated March 31 1889, is in the Coues collection. Why did Coleman thus involve himself? And why did he circulate the charges of plagiarism? Was he a disinterested person in pursuit of truth? One might think so when reading his credentials provided in a footnote to his research paper on the source of HPB’s writings. Yet where was this paper printed? Of all places, it appeared as Appendix C in Solovyov’s A Modern Priestess of Isis, published in 1895 on behalf of the Society for Psychical Research; (Chapter 2 of the present section). In Solovyov’s book, it achieved an immortality it was not otherwise likely to receive. Coleman’s credentials in the footnote include memberships in the American Oriental Society, the Royal Asiatic Society of Great Britain and Ireland, the Pali Text Society, and the Egyptian Exploration Fund. One would hardly imagine he was a clerk in the Quartermaster Department of the U.S. Army, first at Fort Leavenworth in Kansas and later in San Francisco. But more importantly, what the SPR carefully concealed – which ever since HPB’s detractors have refrained from mentioning – is that Coleman was a leading spiritualist of his day who wrote scathing denunciations of Theosophy and HPB in the spiritualists’ journals. HPB’s so-called plagiarism is a practice followed by practically every author who publishes the fruits of his research – even by Coleman himself. To understand the foregoing, one must be able to distinguish between primary sources and secondary sources. If you were to quote from an Emerson essay, for example, that essay would be your primary source. If, however, you quote Emerson quoting Shakespeare, that portion of Emerson’s essay would be called your secondary source. In Coleman’s view, you must credit right then and there – in a footnote or endnote – not only Shakespeare, but the secondary plagiarism, for you are misleading your readers into thinking you yourself found the reference in the works of Shakespeare. However, citing only primary sources is a legitimate practice that most authors of scholarship follow all the time. In Isis Unveiled, HPB frequently gave credit to the original author but not to the secondary source. Writers today acknowledge indebtedness to secondary sources indirectly by including in their bibliographies the names of books they drew upon in their research. To list all would be unwise, for among the numerous volumes researched only a few may be considered worthy of mentioning. If Coleman were to apply to these hundreds of thousands of authors the rules he demanded HPB to abide by, he would call them all plagiarists. As was common in books of her day, HPB’s works had no bibliographies. However, her secondary sources were often referred to in the text when quoting primary material; thus the reader became aware of the book as a worthy source of information. To illustrate, Coleman accuses HPB of using forty-four passages – he should say quotations – from C.W. King’s book The Gnostics and Their Remains in Isis without acknowledgement. Yet, when using Gnostics as a primary source, she credits it and its author on thirty-two occasions. Nor did Coleman acknowledge that Burr’s booklet existed. Burr also cites which parts Coleman had plagiarized. It would be a mistake, however, to imagine that Blavatsky’s works were largely anthologies. Coleman would have us believe that Isis, in particular, was little more than borrowings from other people’s writings. It is easy to prove otherwise: A line-by-line count reveals that only 22 percent is quoted material and 78 percent, HPB speaking. Furthermore, the quotations are not of primary value, but merely supportive of her main thesis. Today when her books are quoted it is not her selections from other authors that are presented, but her own originally worded offerings or, as she would claim, that of her teachers. Thus far Coleman’s plagiarism hunting as described in his paper has been focused chiefly on Isis Unveiled. Next he turns to The Secret Doctrine and other works of Helena Blavatsky. Here, it seems, he overreaches himself and loses all rights to credibility as an honest researcher. In discussing Isis, Coleman gave the page numbers and books copied from, and sometimes parallel passages as well; from here onwards he provides no such information. However, he professes that “the detailed proofs and evidence of every assertion … will be embodied in full in a work I am preparing for publication – an expose of theosophy as a whole.” This promise was reiterated many times in the paper, as if to assure the readers that all the proofs, without doubt, would soon be forthcoming. However, from the date of his paper, August 1893, until his death in 1909, sixteen years elapsed without the book appearing. Coleman provided neither news concerning its publication nor apologies for its delay. The Secret Doctrine runs to 1,570 pages; the source books, too, are large. How can one locate parallel passages in this work and the secondary source named, with no pagination given for either? Unless one were to set up an elaborate computer program, it seems an impossible job. Nevertheless, a test case was decided upon. Among the five books just listed, Coleman points to two as very largely forming the basis of The Secret Doctrine: Wilson’s translation of the Vishnu Purana, and World-Life by Alexander Winchell, professor of geology and paleontology at the University of Michigan. The latter work was chosen because, being on science, it has well-delineated subject matter (such as chapters on the sun and the moon) and might be checked against the text of The Secret Doctrine, using the huge 396-page index to the SD in the Blavatsky Collected Writings edition. A research assistant, who modestly requested to remain anonymous, volunteered to undertake this tedious assignment and spent two to three hours daily on the work for six months. Halfway through she complained that “it was very discouraging to keep looking for something you can’t find.” However, she did find a few unacknowledged borrowings from secondary sources – not Coleman’s boasted seventy passages, but six. No wonder Coleman never wrote his book! He calculated well; people would believe his claimed research without the promised proofs. One discovery Coleman took pride in announcing was that he had located the sources of the Stanzas of Dzyan, upon which, HPB says, The Secret Doctrine and The Voice of the Silence were based. The Stanzas, says Coleman, were “the work of Madame Blavatsky – a compilation in her own language, from a variety of sources.” Coleman’s evidences were to be given in his promised book, which never appeared. “Some ten years ago or more the late Professor Max Muller, to whom all lovers of the Sacred Books of the East owe so deep a debt of gratitude, published his most instructive set of Gifford Lectures, entitled Theosophy or Psychological Religion. These I reviewed in much detail in a series of three articles in this Review. The aged Professor wrote to me a kindly note on the subject, taking exception to one or two points, and we exchanged several letters. He then expressed himself as surprised that I should waste, as he thought, what he was good enough to call my abilities on “Theosophy,” when the whole field of Oriental studies lay before me, in which he was kind enough to think I could do useful work. Above all, he was puzzled to understand why I treated seriously that charlatan, Mme. Blavatsky, who had done so much harm to the cause of genuine Oriental studies by her parodies of Buddhism and Vedanta which she had mixed up with Western ideas. Her whole Theosophy was a rechauffe of misunderstood translations of Sanskrit and Pali texts. To this I replied that as I had no object to serve but the cause of truth, if he could convince me that Mme. Blavatsky’s Theosophy was merely a clever or ignorant manipulation of Sanskrit and Pali texts, I would do everything in my power to make the facts known to the Theosophic world; …I therefore asked him to be so good as to point out what in his opinion were the original texts in Sanskrit or Pali, or any other language, on which were based either the ‘Stanzas of Dzyan’ and their commentaries in The Secret Doctrine, or any of the three treatises contained in The Voice of the Silence. I had myself for years been searching for any trace of the originals or of fragments resembling them, and had so far found nothing. If we could get the originals, we asked nothing better; it was the material we wanted. To this Professor Max Muller replied in a short note, pointing to two verses in The Voice of the Silence, which he said were quite Western in thought, and therefore betrayed their ungenuineness. I answered that I was extremely sorry he had not pointed out the texts on which any sentence of the ‘Precepts’ or any stanza of the ‘Book of Dzyan’ was based; nevertheless, I should like to publish his criticism, reserving to myself the right of commenting on it. To this Professor Max Muller hastily rejoined that he begged I would not do so, but that I would return his letter at once, as he wished to write something more worthy of the [Theosophical] Review. I, of course, returned his letter, but I have been waiting from that day to this for the promised proof that HPB was in these marvelous literary creations nothing but a sorry centonist who out of rags of misunderstood translations patched together a fantastic motley for fools to wear. And I may add the offer is still open for any and every Orientalist who desires to make good the, to me, ludicrous contention of the late Nestor of Orientalism. “The Books of Kiu-te are described in H.P. Blavatsky’s monumental work, The Secret Doctrine, as a series of highly occult works, some of which are public, and others secret. The former are said to be found in the possession of any Tibetan Gelugpa monastery. The latter include the Book of Dzyan, from which a number of stanzas were translated to form the nucleus of The Secret Doctrine. The Book of Dzyan is said to be the first volume of the commentaries on the secret Books of Kiu-te, and at the same time a glossary of the public Books of Kiu-te. HPB at times spelled the books “Kiu-te,” as used by the Capuchin monk Horace della Penna in the early 1700s. Today the “public Books of Kiu-te” are known as one of the main sections of the Kanjur, a major portion of the Tibetan Canon. Reigle’s persistent research has led to further discoveries which he reports in his book. 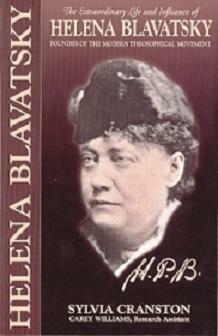 * The above is an excerpt from the book HPB: The Extraordinary Life and Influence of Helena Blavatsky by Sylvia Cranston. I can’t think of anyone sho has been so much maligned as Blavatsky. It really makes you think. Probably makes the division between true pupils and pretenders even sharper.